Recently, I've been starting most posts with "up at 6 to count starlings" . Which goes to show what happens when I go out of my way to be nice and ingratiate myself with strangers... I get jobs at ridiculous times in the morning. Thankfully, this one is awesome. The birds that I usually take for granted in summer months, suddenly take on the same epic proportions usually reserved for wader roosts and raptor migrations (and that's a big dose of brilliant). 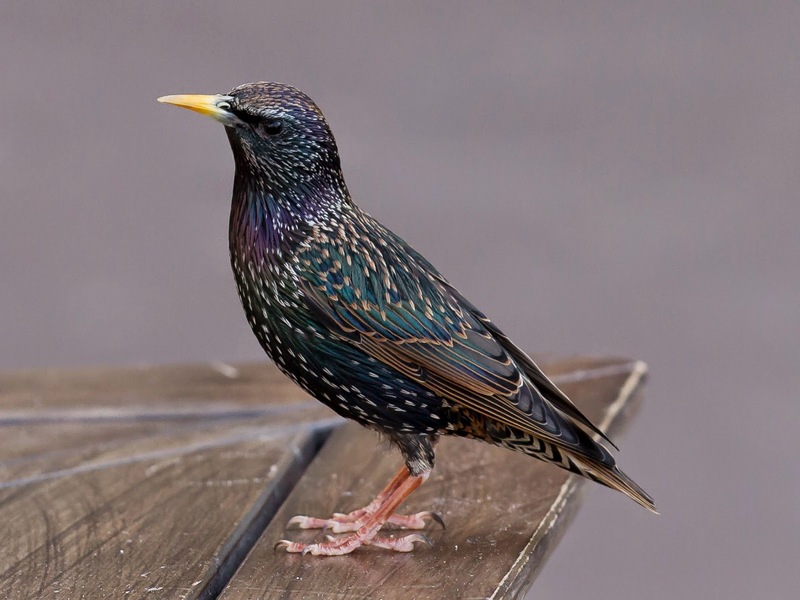 While most of our starlings are resident, many in the north and east of Europe migrate in the colder months. The birds at Slapton are mainly migrants from Scandinavia, mixed with the local population. 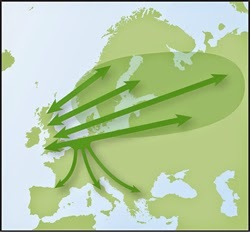 Check out this distribution map I shamelessly stole from the BTO website. The roosts are generally a defence against predators and a way to stay warm, and the best time to see the birds is just after dawn and right before dusk; their animated chatter can often lead you to a roost at dawn. Once you're in position, you have to rely on the brids for the rest; the displays can vary in duration and flamboyance with weather and predator abundance. Anyway, here's that video I promised of the birds arriving last night. Enjoy! The numbers are building up. Enjoyed the video clip ... a great spectacle to witness.